Bringing incredible levels of off-road performance to drivers in Long Island City at Major World CDJR, the new Jeep Wrangler JK starts at just $23,995. In their review of the Wrangler JK, Motor Trend said, “[W]e were impressed with the Wrangler JK’s off-road capability,” and it’s not hard to see why. From the available Rock-Trac® 4×4 system to its Hill Start Assist system and Pentastar® V6, the Wrangler JK does it all. Take a look at the Jeep Wrangler JK interior and you’ll find features like the Uconnect® infotainment system as well. 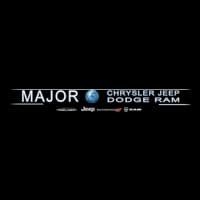 Test drive the new Jeep Wrangler JK today at Major CDJR in Long Island City, NY. Drivers in Sunnyside can find the new Jeep Wrangler for sale now at Major World CDJR, where we have convenient hours seven days a week, a range of new and used vehicle specials, and a professional Jeep service department. Stop by our dealership today to check out Jeep’s uncompromising SUV, and contact us with questions!